It’s time to kick off another week of makes! This week is all about the layette. 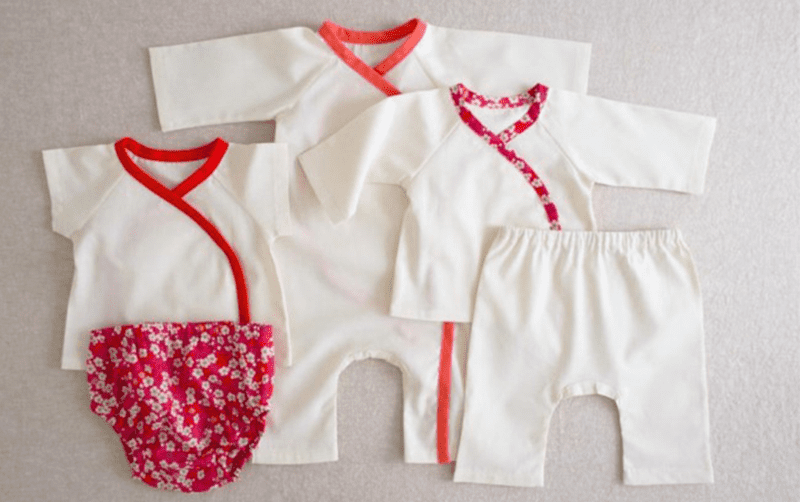 So what’s a layette, anyway? A layette is simply a baby’s first wardrobe. It comes from the French word for little drawer. It’s all the essentials a newborn baby will need to get through her first few months including: a bodysuit, no-scratch mittens, kimono-style shirts that don’t need to be slipped over the baby’s head, socks, booties, caps, and a cute spare onesie for when all of those other things are dirty and a photo-op arises! 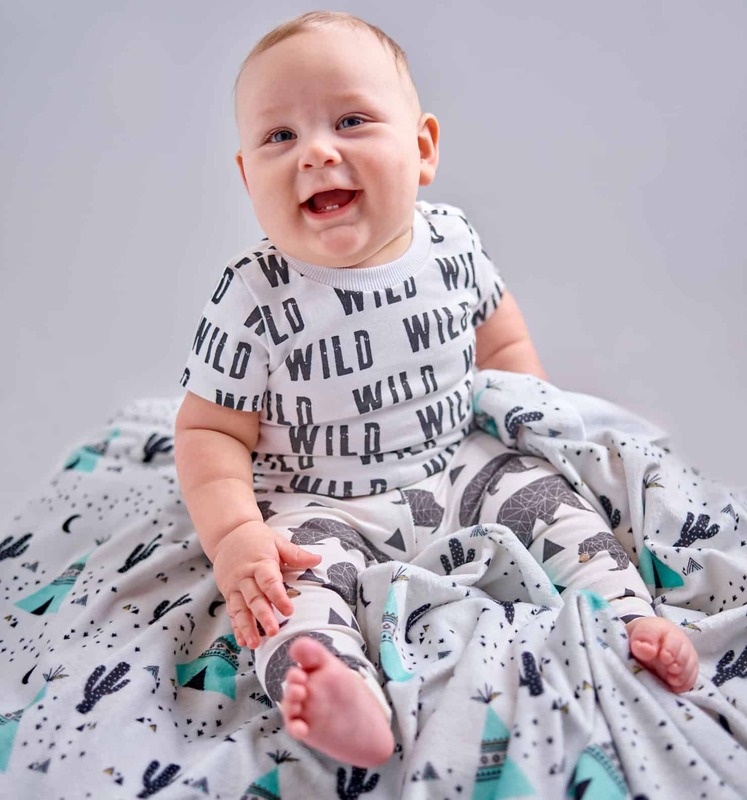 Spoonflower crew member Theresa is here to share some of her favorite layette patterns you can chip away at all week long!